Riverside City Hall is located at 3900 Main Street, Riverside, CA 92522; phone: 951-826-5311. 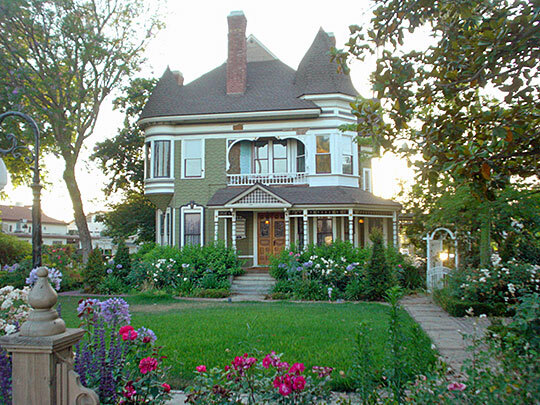 Photo: 19th-century Queen Anne style mansion, Riverside, CA. Photographed by user:Marx01 (own work), 2009, [cc-by-3.0 (creativecommons.org/licenses/by/3.0)], via Wikimedia Commons, accessed June, 2013. The recorded history of the area around Riverside, California, stretches back over two centuries. The first recorded European to have entered the present boundaries of Riverside County was Spanish Captain Pedro Fages in 1772. Fages, who had been second in command to Gaspar de Portola on the first land expedition to Alta California three years before, traversed a large portion of the county while pursuing deserters from the presidio at San Diego. During a chase that led from San Diego to the Imperial Valley, west into the San Jacinto Valley, north through Cajon Pass, and eventually into the San Joaquin Valley, Fages also crossed the area in and around the current city of Riverside. The next entry into the Riverside area took place two years later in 1774 when Captain Juan Bautista de Anza and a small party of soldiers traversed the site of the future city on its way from Tubac (Arizona] to the Pacific, thereby establishing for the first time an inland route between Mexico and California. The party entered the area from Moreno Valley via Sycamore Canyon, then descended Tequesquite Arroyo on its way to the Santa Ana River. In his attempt to cross, Anza found the river "to be almost unfordable," attesting to the rather formidable flow of the river in historic times." Nevertheless, a crossing was made at or near the present site of Martha McLean-Anza Narrows Park. In 1775-76, Anza again passed through the area, essentially tracing his original steps, but this time with a party of pioneers numbering 240 men, women, and children from Sonora, Mexico. Their purpose was to found a northern pueblo that would act as a barrier to Russian infiltration of Spanish California. This pueblo eventually became the city of San Francisco. During the period of mission dominance in California, the area around Riverside was under the jurisdiction of Mission San Gabriel near Los Angeles. According to Hugo Reid, an early Scottish immigrant to California, the area known as Jurupa (which includes much of present-day Riverside) had been one of the mission's most productive cattle ranches. When secularization of the missions was ordered by the Mexican government in 1834, their vast holdings in land were thrown open to the settlement of pioneers. This was accomplished mainly through land grants to individual citizens by the governor. Thus, in September 1838 the Rancho Jurupa grant was made to Juan Bandini by Governor Juan B. Alvarado. The grant, which included approximately 31,000 acres, was approved on May 22, 1840, and in 1879 the grant was again approved by the United States Land Commission. Bandini, a Peruvian native, had emigrated to California with his father in about 1820. At that time he was approximately 20 years old. Politically active all of his life, he served terms in the territorial assembly, the Mexican Congress, and also as customs inspector, secretary to Governor Pico, and commissioner of revenue for San Diego. After secularization of the missions he was appointed administrator of Mission San Gabriel by Governor Alvarado. He died in Los Angeles in 1859. Riverside continues to retain significant elements of the historic cultural landscape which developed in the region throughout the last more than 100 years. Founded on the production of citrus fruits, the area contributed to the rapid growth of California in the 20th century as a premier citrus producer. In addition, the world's first Citrus Experiment Station, now located at the University of California, Riverside, was initially sited in the city in 1906. Historic American Engineering Record, California Citrus Heritage recording Project, [HAER CA-118], memory.loc.gov, accessed March, 2012.